Why buy abrasives from Woodworker Express? Because we have all the abrasives you need in one place! Shop from our wide variety of abrasive belts, abrasive discs, abrasive pads, rolls, sheets, sleeves, and stars. We have abrasives for every sanding and finishing application. 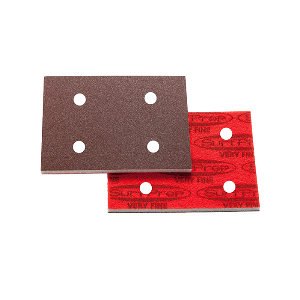 We carry abrasives from 3M, DynaBrade, Pacific, Gem and more. You can trust that we have the quality abrasives to sand and smooth out your fine woodworking, furniture, and cabinet needs.